At least once a week, a patient comes into the office concerned with large bumps in the very back of the tongue. This finding usually is first noticed during a sore throat which prompted an unusually careful look in the back of the mouth. The stereotypical appearance of such bumps of concern is shown in this picture. Fortunately, these bumps are NORMAL... We all have them and I often like to show patients my back-of-tongue-bumps in order to reassure that I too have them... and am not concerned about them. 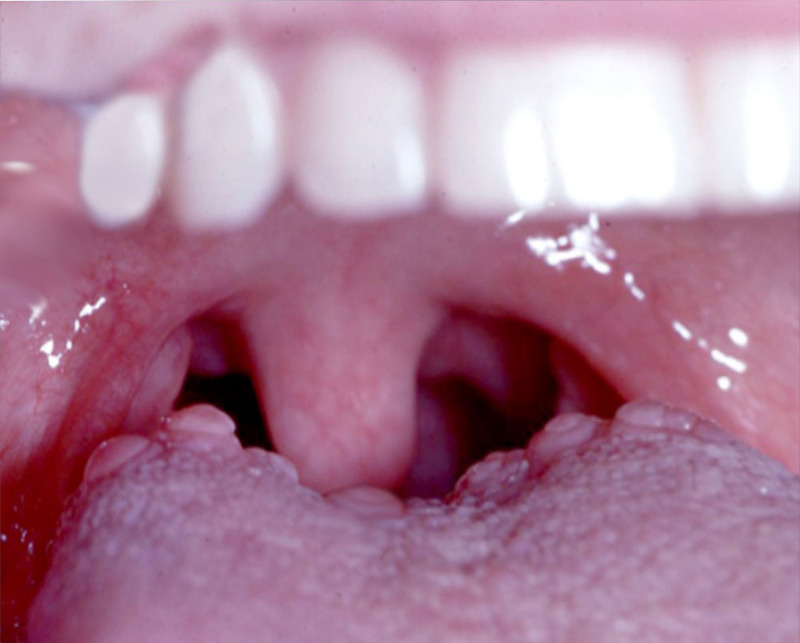 They are known as circumvallate papillae and are arranged in a "V" shape that dips down behind the curve of the tongue. Usually, only the bumps on the sides are able to be seen through the mouth. Because they are normal, there's actually nothing more that needs to be done to address them, let alone treat them. Read more about other types of mouth masses here!